Working to make public spaces in Israel shared and equal, where the language, culture and identity of Arab citizens of Israel will be fully present. Jewish and Arab citizens of Israel live side by side and, despite widespread residential and educational segregation, they share many public spaces. The character of these shared spaces, however, rarely reflects the fact that they serve Arabs and Jews alike – and the presence of Arabs in Israel, a fifth of its citizens, is not manifest in these spaces. Arabic is either absent, or present in some inadequate way, a stark example of the erasure of the Arabs’ share in these spaces. It is not simply the Arabic language alone that is excluded: in shared public spaces, Arab culture is given short shrift and prominent Arab figures, spokespeople and experts, are not given their due in public forums. Arab citizens, the Palestinian national minority in Israel, have the right to fair representation of their national identity in the public space. If we are to build a shared society based on mutual respect that honors the rights of everyone, our public spaces must be truly shared. The language, culture, and national identity of Arab citizens must be present in these spaces, alongside the language and culture of Jewish citizens. Over the years, we have promoted shared public spaces along several tracks simultaneously. Today the focus of our efforts is on working to assure the presence of the Arabic language and of Arab culture in areas used for leisure and entertainment and in public transportation. We aim to ensure that these public spaces will be perceived as common to both societies, without preconditions, and that Arab citizens using them will not encounter pressure or demands to hide or deny their identity. Additionally, we work to ensure fair representation for Arabic-speakers in public conferences. Public transportation: In recent years, Sikkuy-led campaigns and advocacy have achieved unprecedented success; signs in Arabic now appear on all buses and at all train and bus stations throughout Israel. We are currently working to ensure that the digital signage systems and public announcements providing updated information to travelers will also be in Arabic, and likewise that at Ben Gurion Airport, the main international port of entry to Israel, Arabic will be present in signage, public announcements and information services. Leisure and entertainment venues: We are mapping leisure and entertainment venues throughout the country, checking as to the presence of the Arabic language and Arab culture in these spaces. We look at signage, visitor guides and announcements in Arabic. In venues where these are not present or are insufficient, we approach the site operator to promote the required changes, ensuring that the identity and the rights of Arab visitors will be duly acknowledged and honored. The venues include major museums, game parks, zoos, exhibitions and national parks in various locations in Israel. Fair representation at conferences: We work to ensure fair representation for Arab professionals, women and men, who are experts in various fields, as speakers at major public conferences. We regard public conferences as public spaces in which there is value in being exposed to multiple viewpoints in as great a diversity of fields as possible. Sikkuy seeks to raise the awareness of major conference organizers of the importance of this subject, and of their responsibility to ensure that Arab speakers on represented in these events. The right to one’s identity in the public space: Shared spaces are also measured by the sense of belonging -as opposed to alienation- that the Arab citizens feel in these places. Arab citizens should not feel that they are expected or obliged to hide their identity or feel unwanted. To that end, Sikkuy also raises awareness among Arab citizens concerning their right to speak Arabic in the workplace and to not have to hide their identity while at work. We also work with Jewish owners of shops and commercial spaces to raise awareness about the messages of exclusion that are conveyed by signs such as “Jobs available: For Former Soldiers Only.” Apart from the fact that these rights are protected by law, we deem it important that relations between people in these spaces will be based on respect and equality. Sikkuy organizes public campaigns to raise awareness about exclusionary and hurtful practices, and works to change them. A lawyer, holding a B.A. and M.A. from the University of Haifa, Hanan joined Sikkuy in February 2017 as Project Coordinator in the Department of Shared Society. Hanan is a feminist political activist, bringing to this new position a diverse range of professional experiences at social change NGOs, including Mahapach-Taghrir in Yifiyah, and as an advocate at St-Yves, where she coordinated efforts against home demolitions in East Jerusalem. In addition, Hanan has worked as a private lawyer, representing cases related to employment rights and women’s rights against stakeholders from both the public and private sectors and she is an experienced facilitator of empowerment and training workshops and lectures in these and other topic areas. 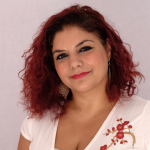 In 2013 Hanan joined “Women Against Violence”, where she coordinated “Salama”, a network of Palestinian Arab NGOS dealing with torture and violence against women. 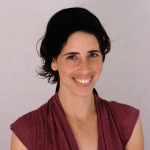 From 2015, Hanah served as founding coordinator of the Itach-Ma’aki (Women Lawyers for Social Justice) Bahira Center for Arab/Jewish Activism and Feminism in Haifa. Hanan belongs to the Arab Students Committee at the University of Haifa, Israel’s Arab Student Union, and has been active for many years as a leader at the University of Haifa’s branch of the Hadash political party.